Big-screened brute becoming a reality? The hotly anticipated Sony Xperia Yuga has been given another airing, this time in Russia as a prototype handset apparently breaks cover. Russian site Mobile-Review claims to have an early version of the handset in its possession and has posted a couple of images of the 5-inch behemoth. Precious few details accompany the shots, but the handset in question looks similar to previous leaks, which suggests that this could be the real deal. The most striking physical aspect of the Yuga is the huge power/lock key which appears to be stuck on the side of the handset – it's an interesting design feature and we're not sure if we like the look of it. 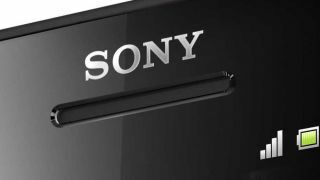 Of course this could all be subject to change, so even if the Xperia Yuga does exist Sony may well tweak the design before it unveils it – possibly at CES 2013 in Las Vegas. Rumoured to pack a Full HD 5-inch display as well as a 13MP camera and quad-core processor the Yuga would go head to head with the Samsung Galaxy Note 2 and recently announced HTC Butterfly/Droid DNA. Watch this (large) space.